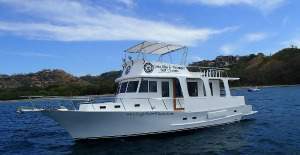 The booking for your gulf of Papagayo fishing charter is easy and secure with us. We work with the best licensed and fully insured captains and crews in this area. 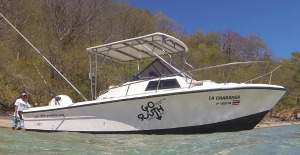 Here on our website you will find definitely the best Papagayo fishing charters for captain direct rates. That’s a big advantage for you. Because in this area of Papagayo, Playas del Coco it is very common that a lot of agencies charging more that the boat usually will cost. 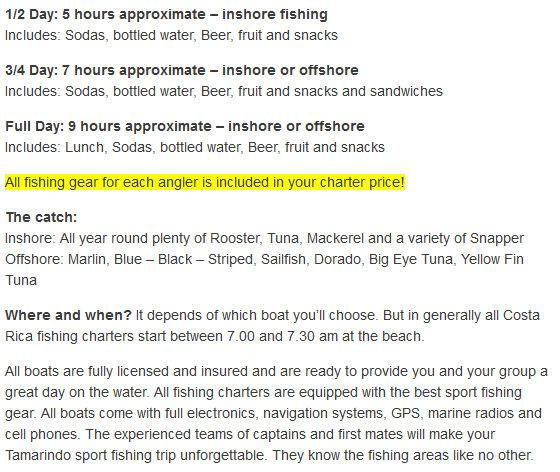 Example, a full day trip Papagayo sportfishing direct from the captain will cost you $ 1,100.00 but the agency charge you $ 1,350.00. We never will do that. The captain price is our price! Take advantage of. 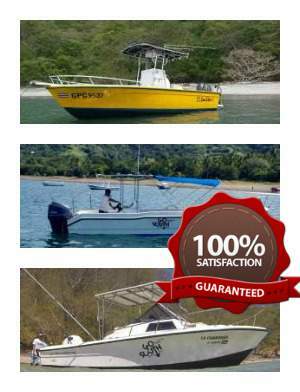 The gulf of Papagayo is renowned for his world class sport fishing. Due to its fertile waters, you can fishing all year round. 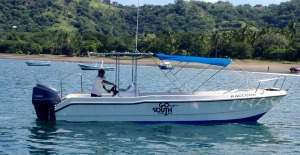 Don’t worry: We pick you up at all popular beaches for your personal Papagayo Costa Rica fishing charters. Such as Hilton Papagayo Resort, Paradisus Papagayo Bay, Dreams Las Mares, Playas del Coco, Four seasons Resort Costa Rica and many more. 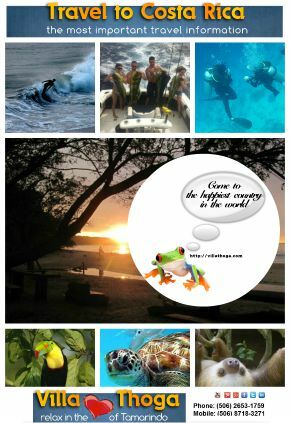 The gulf of Papagayo is located in the province of Guanacaste (Pacific side). From the international airport Daniel Oduber in Liberia you only need a 20 minutes ride. What to do in this area? All kind of activies waiting for you. Lots of restaurants with different dishes. And of course you can experience the best fishing in Papagayo Costa Rica has to offer. Our Marina Papagayo fishing charters provide a high quality fishing experience for people of all ages. To book your fishing date(s) a reservation is required. After receiving your reservation we will send you a confirmtion per email. 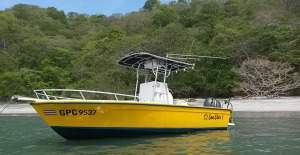 If you bring enough time you can experience a lot of activities, such as snorkeling, boat trips, trips for Papagayo fishing Costa Rica, zip lining, ATV and so much more. You really need time to enjoy all this good thing.